Getting an IELTS band 7 in writing is very difficult for many students, and most do not know what the examiner is looking for. So the aim of this lesson is to look more generally at what is required to get a band 7 in the writing test. If you want to know specifically where you are going wrong, then you will need to discuss your work with an experienced IELTS instructor. The frustration is normally for those who are stuck at a band 6 or 6.5 but just don't seem to be able to get that 7! It can be quite a jump to go from a 6.5 to a 7, so this lesson will explain what is required for an IELTS band 7. We'll focus on essay writing rather than task 1, but the criteria and principals are more or less the same. There is some clarification of some of the differences between the marking of task 1 and 2 at the end. To explain this, we'll begin by looking at the IELTS band descriptors for an IELTS band 7. This is not a secret. This information is taken from the IELTS public band descriptors and is freely available from a test centre or you will find it if you search on the internet. 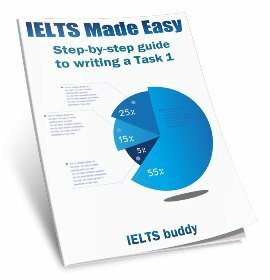 You are given a band score for each of the criteria, and the ones in this table in the descriptors column are those that are specifically needed for an IELTS band 7. When you are graded, you will be given a score for each of these, and this will then be averaged. So if you are getting a 6.5, that means you must not be meeting the standard required as shown in the table for one or two of them. As previously stated above, you'd have to show some of your writing to an experienced IELTS teacher to get some advice on which ones you are not achieving in and to find out if it is always the same criteria. If you find out, you can then work on this to improve your score. We'll now just have a look at each of them in a bit more detail to highlight some common areas where you may possibly be going wrong. Very basically, this is an assessment of whether you have fully answered the question and provided good support for your ideas. To address all parts of the task, you must respond to everything that is asked in the question. The task is to discuss both the opinions and to give your opinion. So, for example, if you only wrote about one of the opinions or did not give your opinion, you will not have addressed all parts of the question so you can't get an IELTS band 7 for task achievement. Or if you only wrote a small amount on one of the opinions, this may not be seen as fully answering the question either. There is a lesson here that explains the importance of identifying the task to make sure you fully answer all parts of the question. You must also have a clear position throughout. So if your opinion is not clear and you seem to change it during the essay, then this could be a problem for achieving an IELTS band 7 in this criterion. You also need to fully extend and support your ideas. So it is not enough just to put lots of ideas down - fewer ideas are better that are explained properly with reasons and examples. Look at some model essays to see how a clear position is presented throughout and how only a few ideas are presented but they are fully explained and supported. Very basically, this is how you organize and present your ideas, and how easy your work is to read. So you will need to know how to organize an essay properly in terms of paragraphing and having ideas that logically and clearly go from one to the next to get an IELTS band 7. Another key point here is that you have to have a clear central topic within each paragraph. To take a simple example, if you are writing about the advantages and disadvantages of something, then you may want to have one paragraph about each. Each paragraph will then have a clear central topic - either advantages or disadvantages. If you mix them up, this may not be clear. Again, look at some of the model essays to see how each body paragraph clearly has one central topic. You also need a mix of cohesive devices. These are the things that join and link your ideas, sentences and paragraphs. For example, transitions such as 'however', 'firstly', 'moreover', and other general linking words within sentences such as 'and' and 'because'. You will need a variety and mix of these for an IELTS band 7, and you'll need to be able to use them effectively with some flexibility rather than mechanically. Your lexis is basically your vocabulary, and as it says in the descriptors, you'll need to show that you know some less common words and be able to use them precisely. 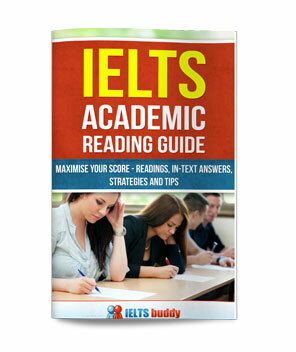 Its in the accuracy that is needed for your vocabulary that problems can often occur with regards to getting an IELTS band 7. As you can see, you can only make occasional errors in your word choice, word formation and spelling. This means the majority need to be correct! This is obviously no easy achievement and so you'll need to be a fairly skilled writer to be making only occasional errors with your lexis. You can find some useful and less common vocabulary by following this link, but you need to learn how to use the words correctly otherwise you may make more mistakes with word forms. Using lots of new words that you don't know how to use properly could make your writing worse, so be careful! Only use words you know how to use properly. As will be clear from the title, this one is assessing your level of grammar. 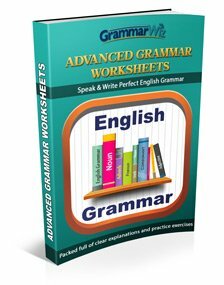 You will need to show you can use a wide range of sentence structures and have a high level of accuracy. Just having a few complex sentences with words such as 'because', 'if' and 'although' may not be enough. You'll need to have an awareness of some more complex structures. Again, like the lexis, this can often be where students struggle to get an IELTS band 7. You need to have frequent error-free sentences. In other words, the majority of your sentences can't have grammar errors. This is not easy, so like with the lexis, you will need to be a fairly skilled writer. The last three criteria are more or less the same for task 1. The differences are in the task achievement as obviously you are being given a different task. The first point is obviously stating that you must do what you were asked in the question. The second point means that at some stage in your writing you must clearly give an overview of the main things that are occuring in the graph or diagram. See this lesson on writing a task 1 for more information on this. Finally, to acheive in the last point you must be able to show that you can notice and write about the important things that are happening in the graph, and make comparisons between the data. Again, the lesson above will help you with this. 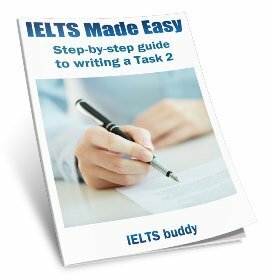 This lesson then has shown you how to get an IELTS band 7 in your writing, or what is required. Unfortunately there is no magic bullet that is suddenly going to move you up a band. But there may be things you can improve on that will help if you think you are making errors in what what is needed in the criteria. For example, are you always spending some time at the beginning analyzing the question carefully to make sure you are answering all parts of it and writing a plan / outline? If not, you may be making errors by not fully answering the question or by not organizing your essay or ideas well. Most of my students that I check are failing to get the majority of the sentences error-free or the majority of the lexis correct. So this may well be where you are falling down if you are getting a 6.5. In this case you'll need to work on improving your grammar and checking your work very carefully for mistakes. If you have a writing teacher obviously this will help as they can check your work. But again, planning first can help with this because if you plan then you will be able to write quicker. You will then have more time to be more careful and more time to check your grammar and lexis whilst you write and at the end.